Leftfield are an electronic band formed in 1989 in London, United Kingdom. From 1989 to 2002, Leftfield was a duo of artists and record producers that consisted of Neil Barnes and Paul Daley. In January 2010, Barnes resurrected the band name and Daley has declined to be involved. They are pioneers in the fields of IDM and progressive house, being among the first to fuse house music with dub and reggae. As with many of their contemporaries such as The Chemical Brothers and Underworld, Leftfield pioneered the use of guest vocalists throughout their career. Among the more prominent were Toni Halliday (of Curve), who sang on "Original", Djum Djum on "Afro-Left" and Earl 16 and Cheshire Cat on "Release the Pressure". Neil Barnes' entry into the music world was as a DJ at The Wag Club while simultaneously playing percussion instruments. Around 1989, inspired by Afrika Bambaata, Barnes decided to try his hand at electronic music production. In 1990, he released the single "Not Forgotten" on the Rhythm King label. It was followed by "More Than I Know" in 1991. For the remixes of these tracks, Barnes called upon Paul Daley, then a hairdresser, but also in A Man Called Adam and a formerly a session musician for the Brand New Heavies and Primal Scream, appearing on their Dixie Narco EP. Barnes and Daley had previously worked together as percussionists at The Sandals' first club, Violets. As their mutual interest in electronic music became clear the pair decided that they would work instead upon Leftfield, once Barnes had extricated himself from his now troublesome contract with Rhythm King. 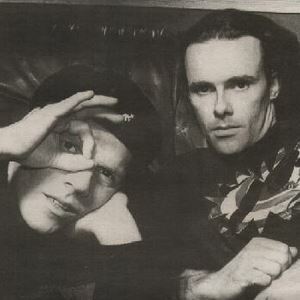 Leftfield's first major career break came in 1993 with the single "Open Up", a collaboration with John Lydon. That single was soon followed by their debut album, Leftism in 1995. On this album, Leftfield blended styles like dub, breakbeat, and techno. Five singles supported the album: "Release the Pressure" (featuring Earl 16 and Chesire Cat), "Song of Life", "Open Up" (featuring John Lydon), "Original" (featuring Toni Halliday) and "Afro-Left" (featuring Djum Djum). Leftism was shortlisted for the 1995 Mercury Music Prize but lost out to Portishead's Dummy. In a 1998 Q magazine poll, readers voted it the eightieth greatest album of all time, while in 2000 Q placed it at number 34 in its list of the 100 Greatest British Albums Ever. The album was re-released in 2000 with a bonus disc of remixes. In 1996, the song "A Final Hit" featured on the Trainspotting soundtrack. Their second and final album, Rhythm and Stealth was released in 1999 and it reached #1 in the UK Albums Chart. The album maintained a similar style, and featured Roots Manuva, Afrika Bambaataa, and MC Cheshire Cat from Birmingham. Rhythm and Stealth was shortlisted for the Mercury Music Prize in 2000 but lost out to Badly Drawn Boy's The Hour of Bewilderbeast. Three singles were issued: "Afrika Shox", "Dusted" and "Swords". The song "Phat Planet" featured on Guinness' 1999 advert, Surfer. In 2002 the band split. In 2005, they issued the greatest hits compilation A Final Hit. In 2010, Leftfield reunited and played a string of shows. However, Leftfield is now represented by Barnes alone with a backing band and singers, as Daley is concentrating on his DJ work, as well as releasing a solo album.